Talentera, a product of Bayt.com, is a powerful recruitment solution that commits itself to streamlining hiring processes and has successfully helped multiple companies across the MENA region source, assess and hire top talent efficiently. The company is excited to launch its new website that is now open to all. The new Talentera website has been built with the aim of empowering existing and prospective clients with detailed insights on the vast services we offer, and comes with a revamped design, fresh and diverse content, and a whole range of upgraded features and solutions. Our team has worked tirelessly to ensure that the new website serves our core business objectives and provides an unparalleled user experience. With its modern, high-impact design, aesthetically striking layout, consistency across web pages and easy searchability, the website is engaging, enhanced in its functionality and at the same time, exceptionally simple to navigate. Since Talentera’s client base is largely concentrated in the MENA region, our new website has been designed in English as well as Arabic, as part of our constant commitment to serve our clients’ needs better. With website traffic being largely mobile-driven lately, we’ve taken special care to ensure that our website can be navigated and browsed as easily on smartphones as on desktops. We’ve expanded our website content to adequately reflect and capture the full range of solutions and features Talentera provides. These also include the newly announced features such as our recruitment agency module, integration with our Onboarding Software, AfterHire and our Video Assessment Platform, Evalufy. You can also explore the different packages we’ve developed to adapt our solution specifically to each client’s specific business needs and size. Additionally, we have a dedicated product blog that is regularly refreshed with interesting articles pertaining to efficient recruitment practices and product updates. Localized support: Since we are based in the MENA region, our product can provide immediate support services and promptly respond to your queries. Diverse Job partner Network: Talentera has integrated with multiple college and university job boards and other job sites to facilitate the hiring efforts of our clients by expanding the talent pool for them. Scalable Solution: The software comes in multiple packages, each with its own set of features and pricing modules, and clients can pick the one that matches their business’s requirements and scale most aptly. Customizable Tools: Our recruitment solution is entirely customizable and can be tailored to meet your business’s unique needs. We design a customized career portal to reflect our client’s brand and ensure consistency with their existing web property. Clients can also customize the software’s workflows to synchronize them with their hiring cycles. 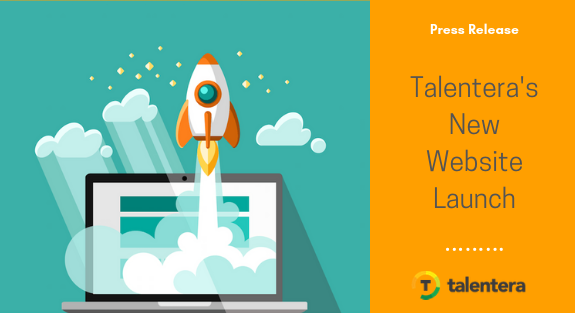 We look forward to hearing about your business requirements and discussing how Talentera can help you streamline and advance your recruiting efforts.